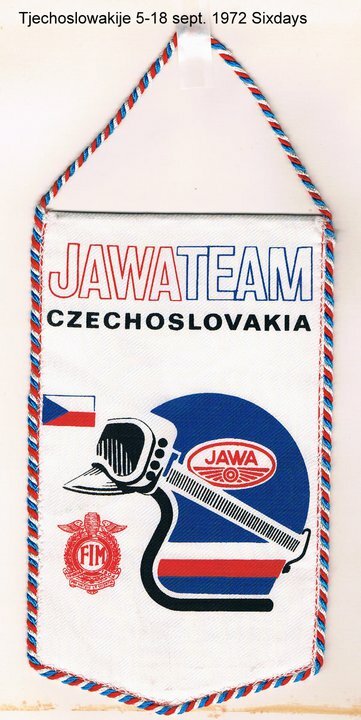 The 47th ISDT took place in Spindlruv Myln, Czechoslovakia now in the Czech Republic. 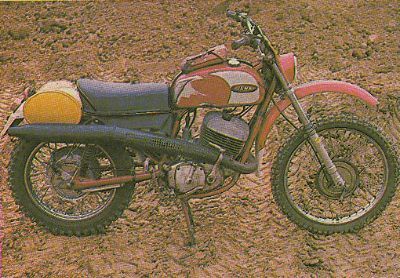 Photo of Jawa’s 1972 350 ISDT machine which had become THE machine to win with. In Spindleruv Myln, Czechoslovakia was Jim’s first Six-Days competition. 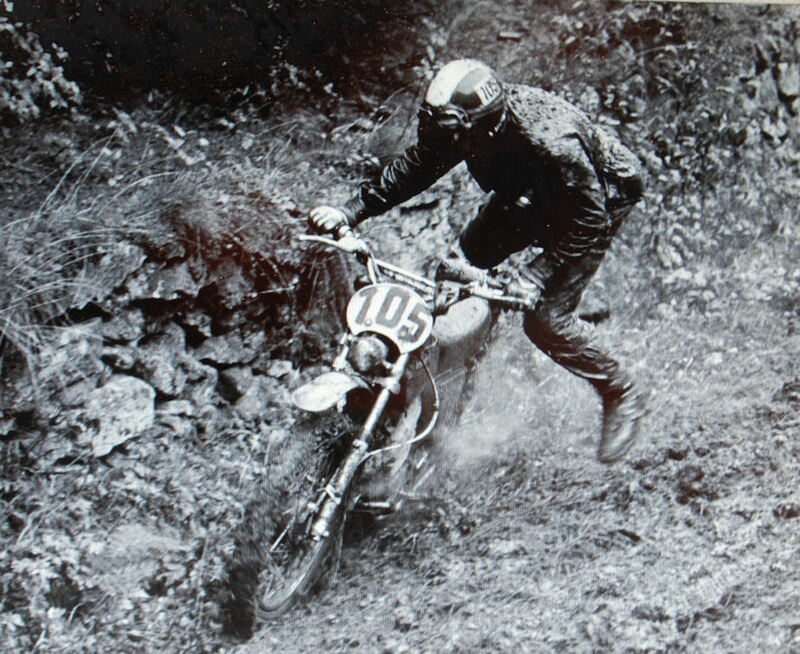 Riding a 125cc Penton on a Gold medal pace until 3 hours before the finish on the 6th day, he suffered a mud-packed throttle cable with no spare. Silver Medal was the result. Not able to change a tire in the typical 4 minutes of a seasoned veteran, he rode all 6 days on the same knobbies, making rear traction tricky as shown in photo. Czechoslovakia was behind the Iron Curtain and crossing the border into Czecho was a unique experience. Border guards in look-out towers, no-man’s land, barbed wire fences, and soldiers with machine guns. Has anyone any results to share????? 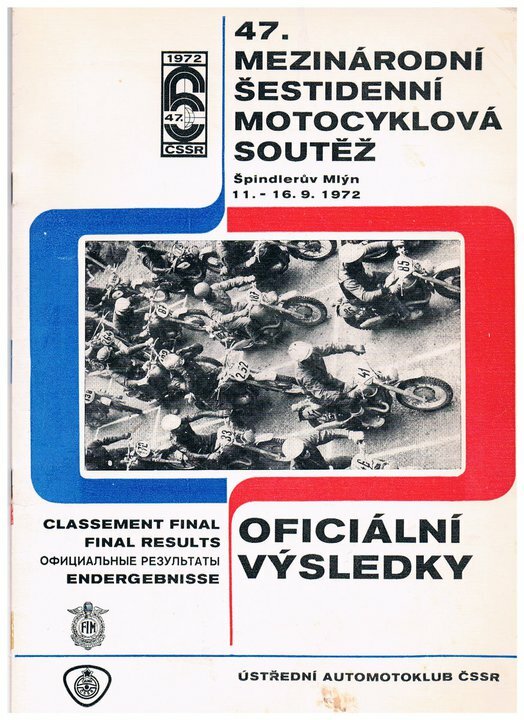 Alas not yet but hopefully the FIM will have these scanned for us soon. 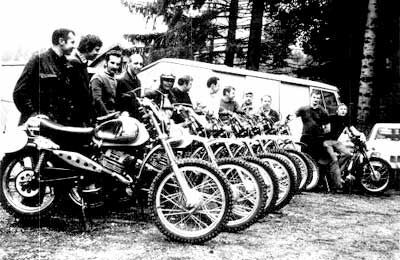 Hello, my name is Colin Sparrow and I am writing a book about the history of Greeves motorcycles, due for publication early next year. I want to include an analysis of all Greeves performances in the ISDT. I have many of the programmes and your site has been a tremendous help. This will be acknowledged in the book. There were eight Greeves entered, seven Pathfinders and a 380 Griffon Enduro. If I can get those, a complete analysis of Greeves’ ISDT performances will be in the book. Just in case you have a 1974 programme, are you able to confirm my belief that there were no Greeves entered that year? If you are able to help I’d be most grateful – and thanks either way. Thank you very much for posting the 1970-73 results. My Greeves ISDT record is now complete. Just in time! Thank you for your kind comments good luck with the book too, feel free to send us details so we can do a review for you. As you can see our collection for this period is a bit sparse. 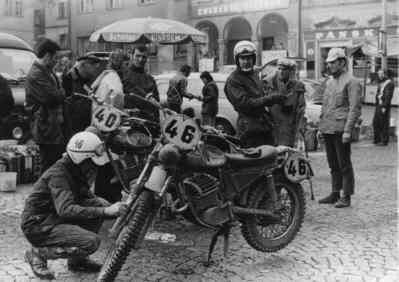 I believe the FIM still has results to be scanned for us for the 70’s but somebody else is our contact with the FIM but I can ask how progress is for completing the results.